7441CC-LEDAries (Gu10 Led) Ip44 1 Light Chrome Spo..
2931-1CC-LEDBelvue Bathroom - Ip44 (G9 Led) 1 Ligh..
2934-4CC-LEDBelvue Bathroom - Ip44 (G9 Led) 4 Ligh..
4337-1-LEDGlobal Bathroom - 1 Light (G9 Led) Ip44 ..
6337-4-LEDGlobal Bathroom - Ip44 (G9 Led) Globe 4 ..
2208CC-LEDPoplar Led Bathroom Ip44 Chrome Wall Bra..
5611-1CC-LEDLima Bathroom - 1 Light (G9 Led) Chrom..
5612-2CC-LEDLima Bathroom - 2 Light (G9 Led) Chrom..
2555CC-LEDLima Bathroom - Ip44 (G9 Led) 2 Light Cl.. 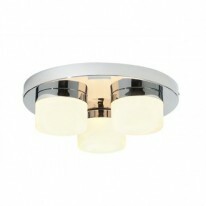 If your bathroom needs a extra push of lighting, you may need to look into our LED range. This range stocks the latest in LED technology and provides the most elegance designed light fittings. What's the difference between LED and non LED? LED last much longer than normal commercial bulbs which means no more changing them year on year, but more importantly is the cost, in the long term LED cost a lot less on average than having normal halogen bulbs. The range we stock comes in different colours because of the LED lamp inside, the most common being natural white and warm white.